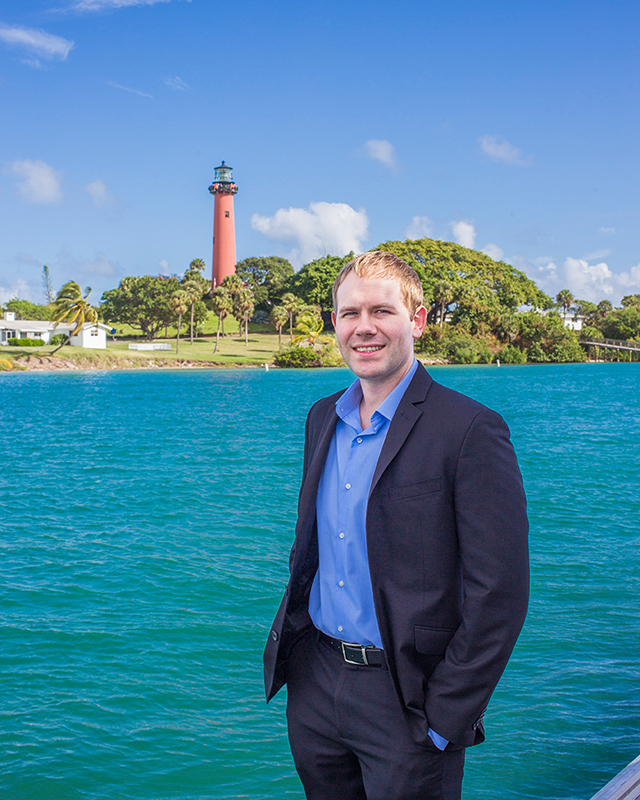 Blake is a sharp negotiator with more than a decade of local buying and selling experience throughout Palm Beach County. His knowledge of contracts, broad experience in home and condominium sales, and “straight shooter” approach means his clients get a trusted guide with a keen eye for the best deals in a quickly changing market. You could say Blake has been in customer service since before he could drive, working with his father as he managed upscale country clubs throughout the US. Blake continued work in high-end properties through college. 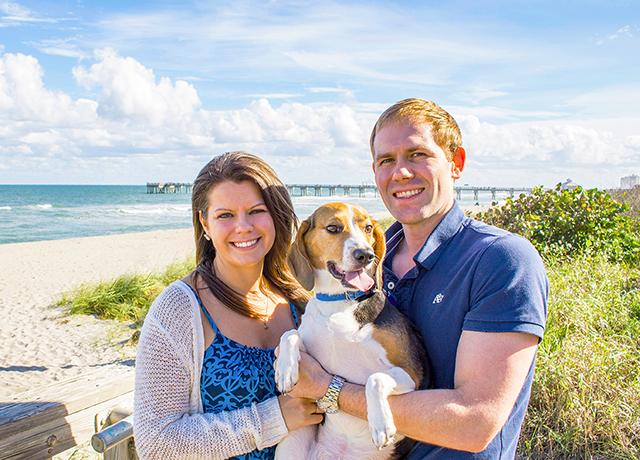 After graduating from Penn State with a degree in marketing, Blake and his wife, Lauren, moved to the Palm Beaches where they live now with their Beagle, Toby, and newborn, Connor. Real estate is a 24/7 job, but when he is not assisting clients, Blake is enjoying all that Florida has to offer. “I have a love for the ocean and enjoy snorkeling, fishing, kayaking, and relaxing on the beach,” says Blake. As a serious hobby, Blake enjoys taking care of his large saltwater aquarium. Blake honed his work ethic and eye for detail while working for noted real estate magnate Jeff Greene. 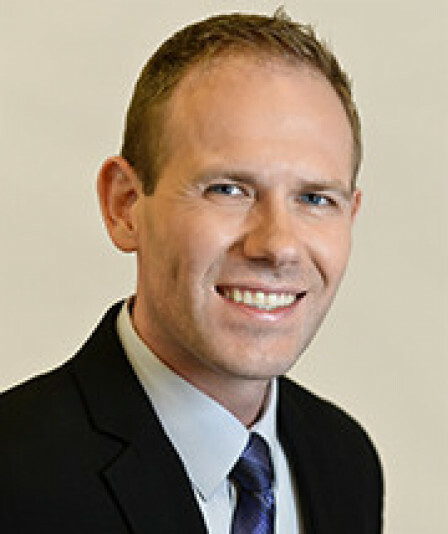 As the leasing manager at The Strand in West Palm Beach, Blake successfully negotiated hundreds of condominium rentals, while also co-managing the facility. Blake is now the showing manager for Jeff Lichtenstein’s # 1 team. Blake loves what he does and is driven by his clients’ satisfaction of making each transaction stress free, enjoyable, and getting them a great deal.